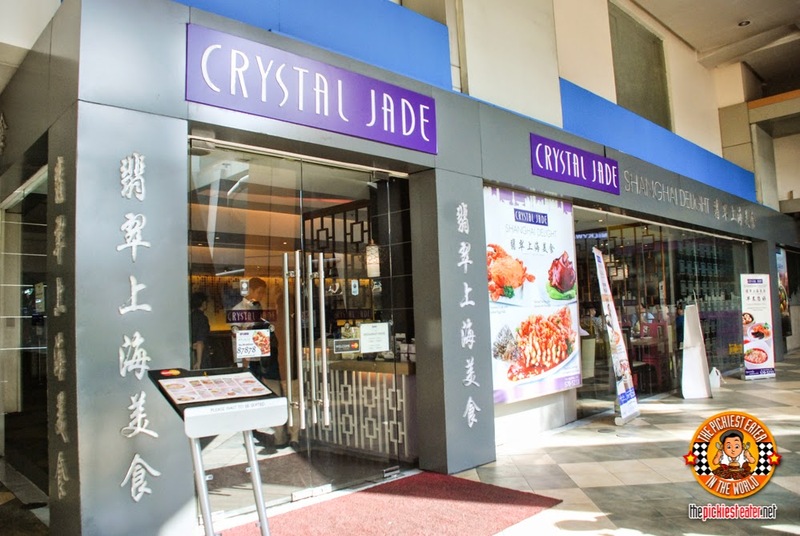 Crystal Jade looks a lot different from the first time we went there a few years back. 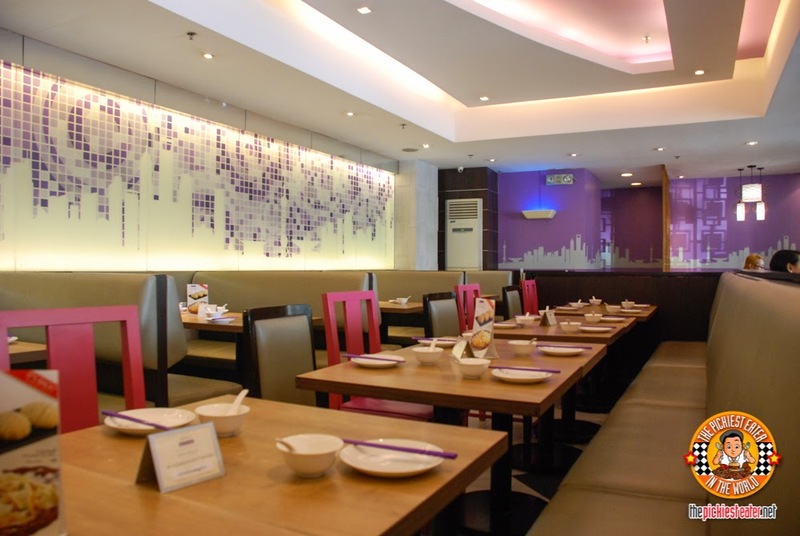 It looks more laid back, with splashes of purple in their interiors. But of course it still looked classy. 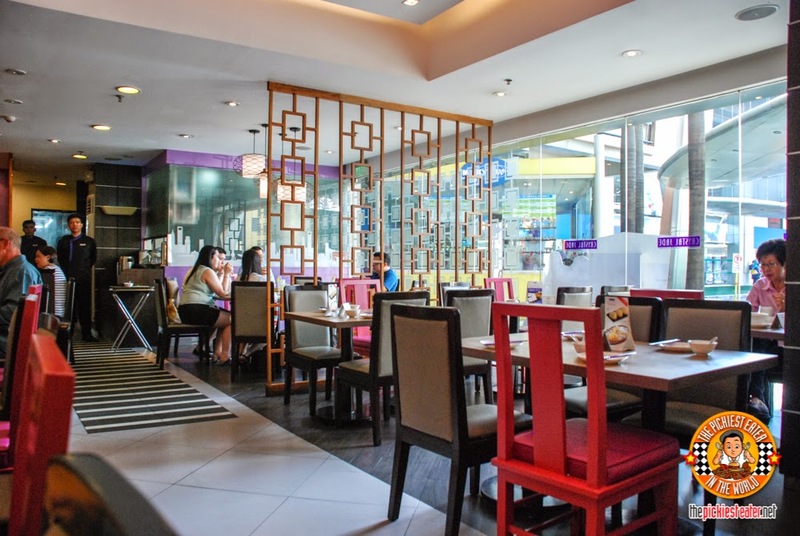 A nice place to take your family out to celebrate birthdays or any milestones in life. Going back to the dim sum dinner. You are given a checklist so you can check your orders. 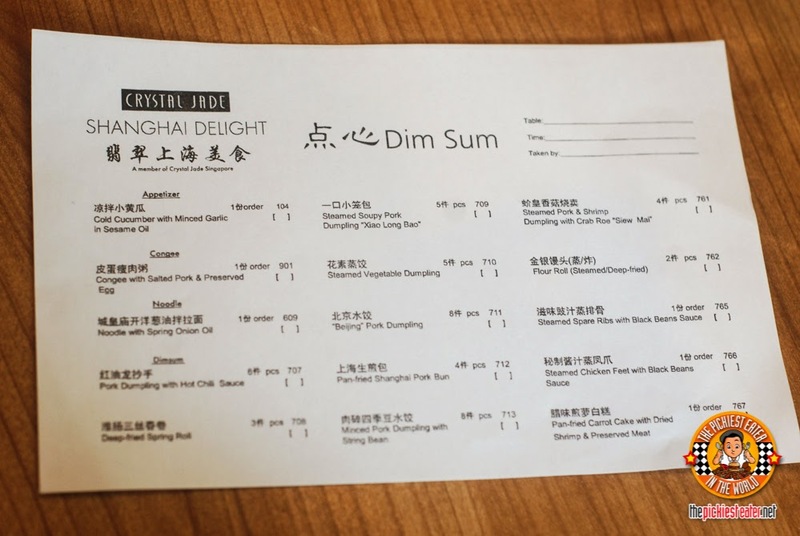 All dim sums are made fresh so expect to wait for a little while to get your orders because the dim sums are not pre-made. 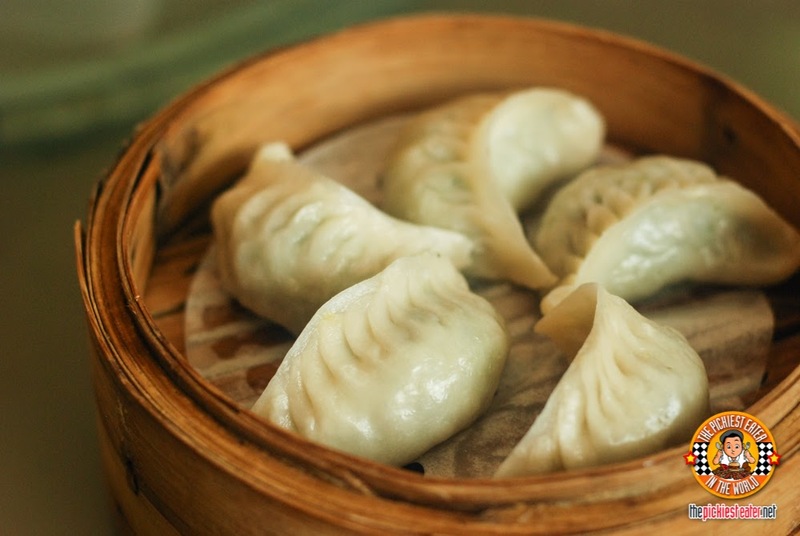 This is a good thing because you can only expect freshly-made dim sums, and not those re-heated ones. Quality at its finest! That's why patience is a virtue hehehe. Don't worry it is so worth it! 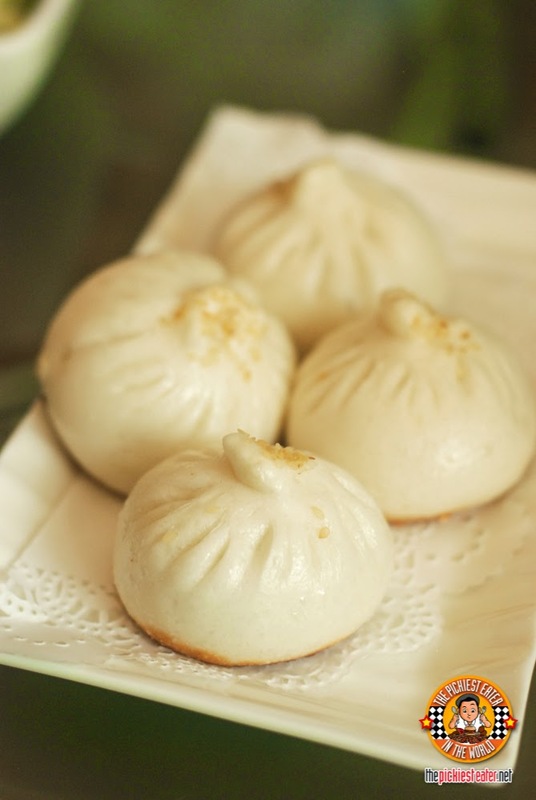 Also you might want to take it easy on the check list because the dim sums are really very filling! 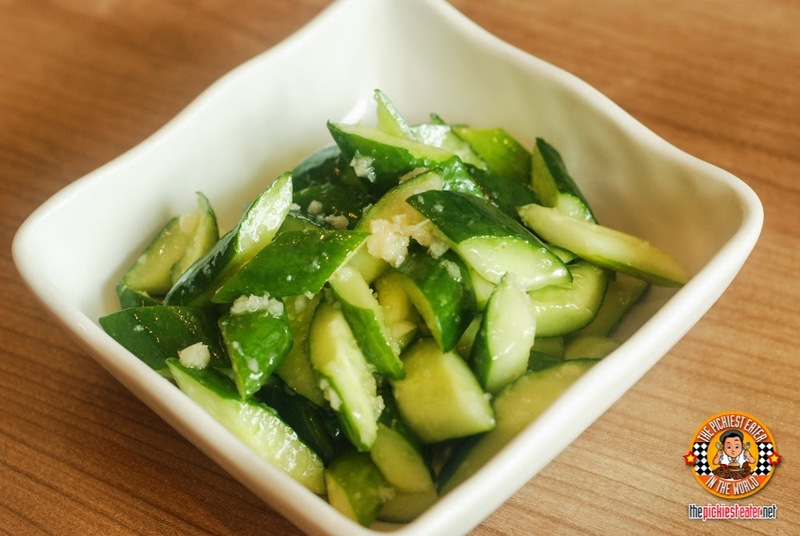 We started with this Cold Cucumber with Minced Garlic in Sesame Oil. Because I didn't see the name of the appetizer at first, I was hoping it had some sort of vinaigrette. So when I tasted it, it was just okay for me. It was refreshing though. I just personally hoped there would be a vinegary taste to it. 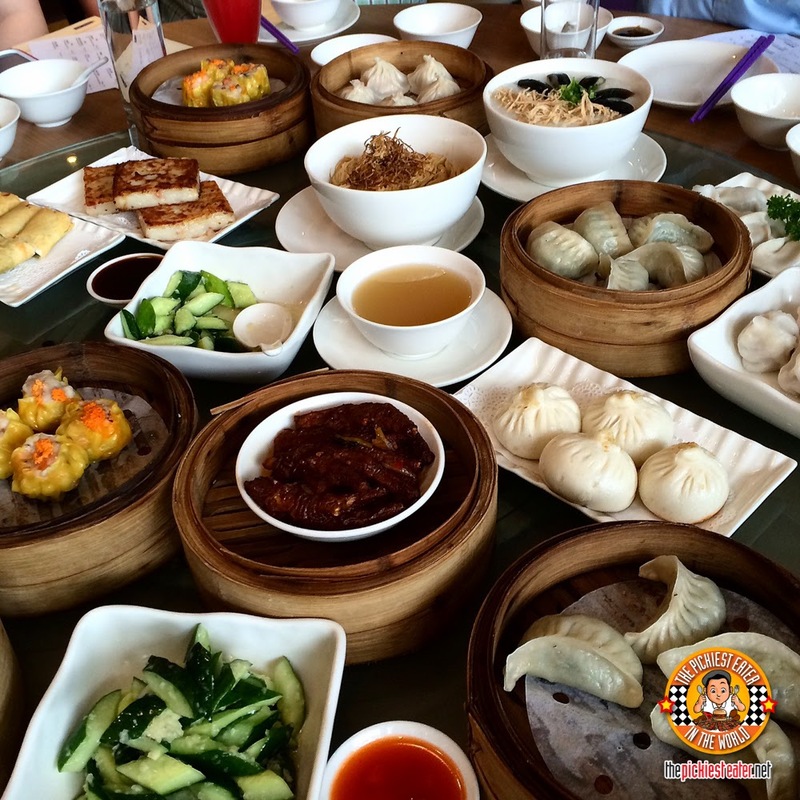 Shortly, the dim sums arrived!!! 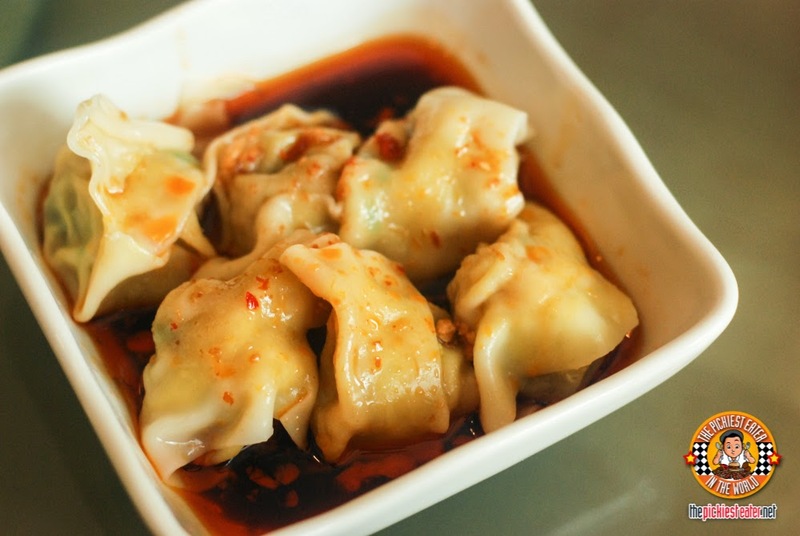 Everyone loved this Pork Dumpling with Hot Chili Oil! The heat made it quite addicting! I wasn't surprised that Richie loved their Deep Fried Spring Roll. It's one of his favorite things to order in Chinese restaurants. 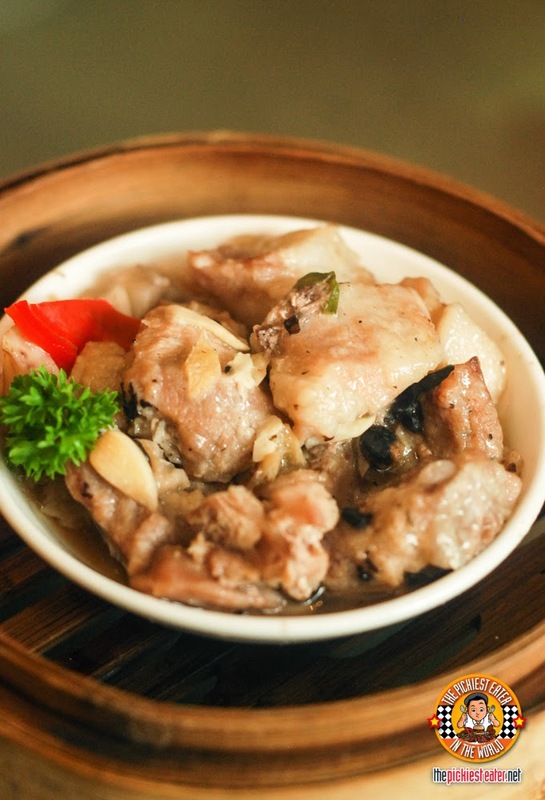 One of my favorite dim sums ever is Steamed Spare Ribs with Black Bean Sauce. I love the flavorful broth of it. And the spare ribs of Crystal Jade is no exemption. Richie really enjoyed their Pan-Fried Shanghai Pork Bun. I think he could have easily devoured one order in one sitting. 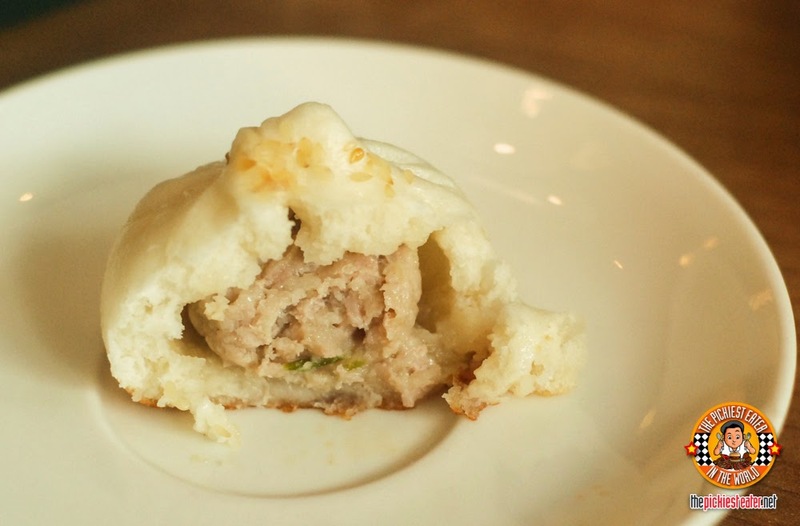 Let's see a cross-section shot of this delicious Pan-Fried Shanghai Pork Bun. It's like a mini fried siopao! 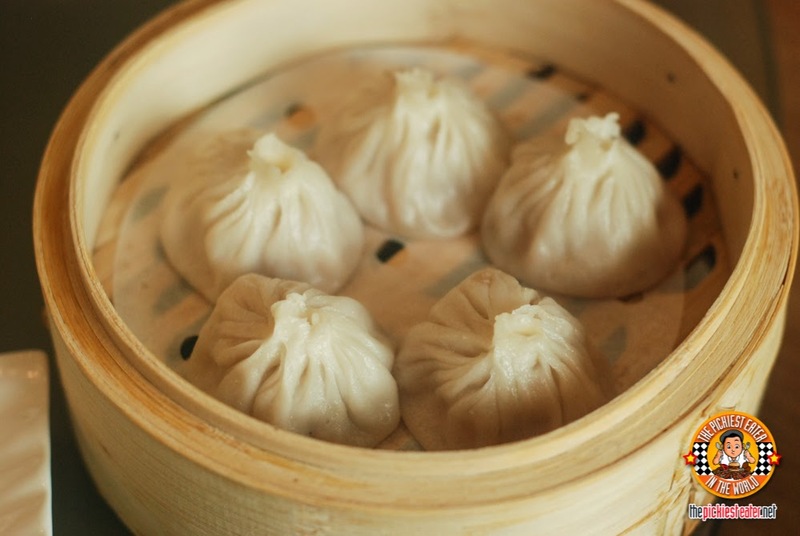 Here's the Xiao Long Bao that we all love. After adding the sauce, I like to bite the top off and directly sip the hot soup from the inside. And then devour the whole thing altogether. 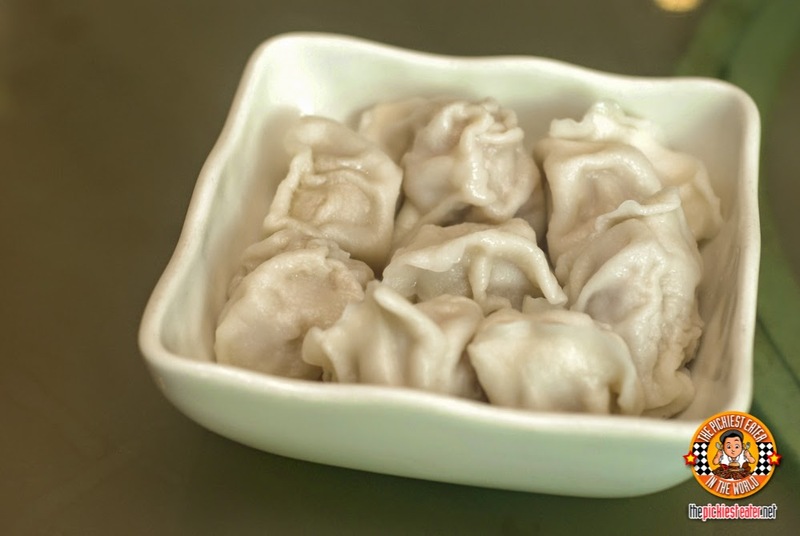 Beijing Pork Dumpling - Richie loved this! Minced Pork Dumpling with String Bean - Richie loved this as well! 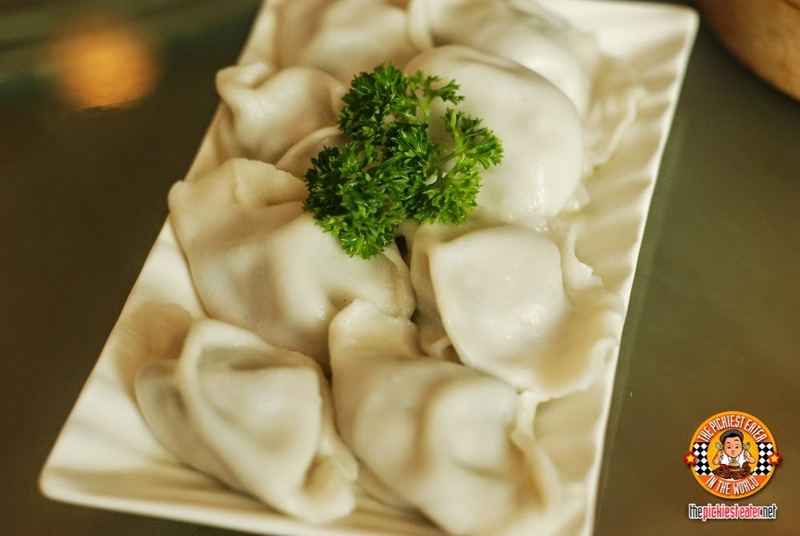 Steamed Vegetable Dumpling - This one, not so much.. 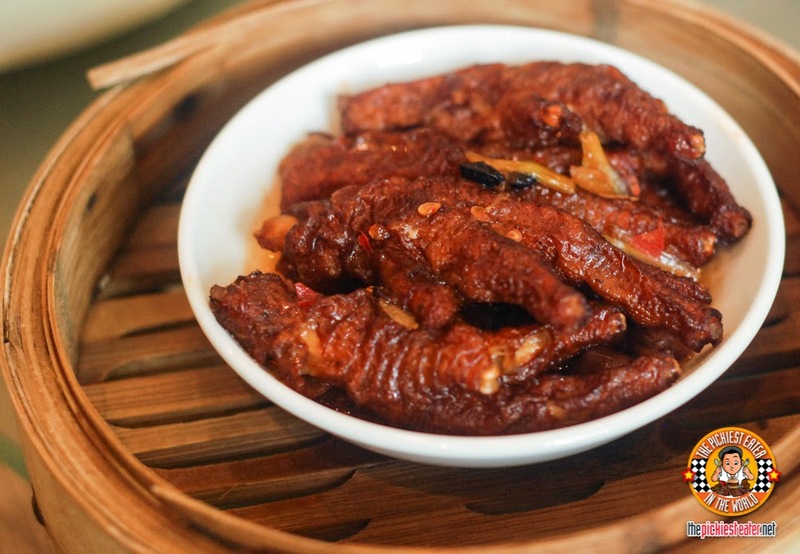 The thing is, Crystal Jade also threw in some non-dim sum items for a more filling dinner. Like the Noodles with Sesame Oil. 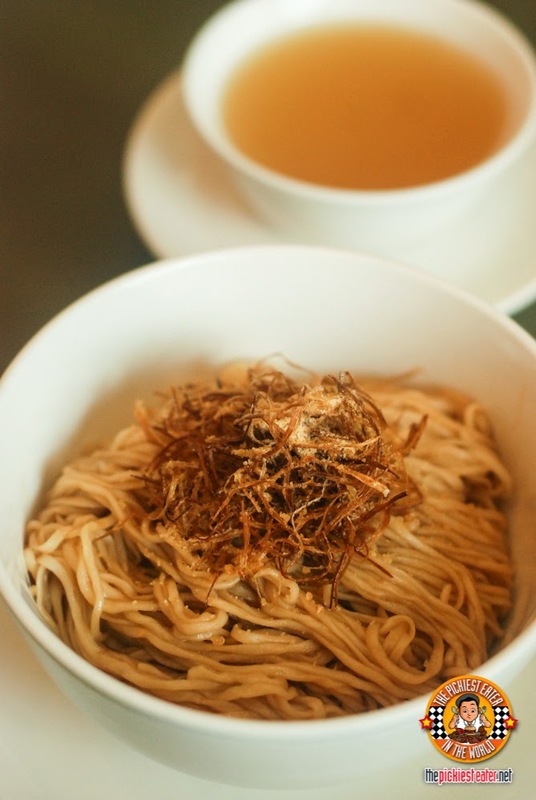 I really really love the simplicity of this noodles. Nothing but shreds of onions on top, and then served with broth on the side. This way you can add as much soup as you want. I like adding only a little bit to just kind of moisten the noodles. But even with the simplicity of this dish, for me it packs a lot of flavor! 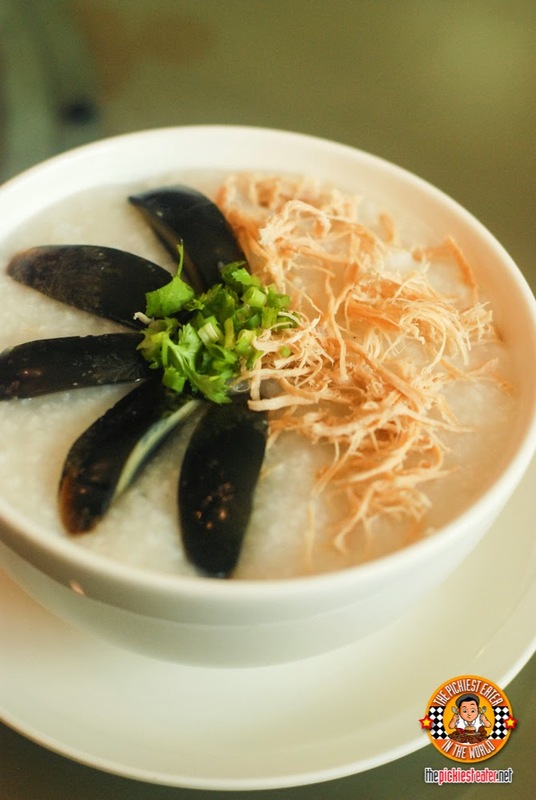 There's also Congee which I also enjoyed! I'm used to putting fish sauce on my congee but this one doesn't need any already. Perfect for a rainy day! 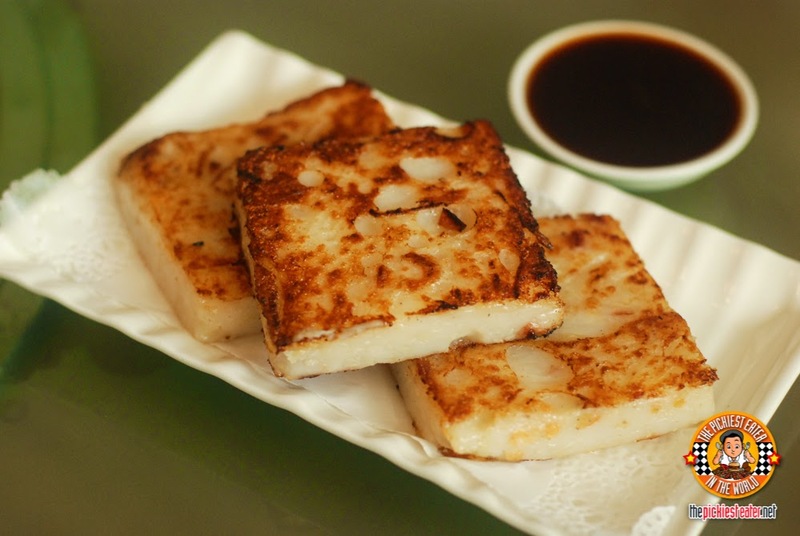 It's really great to pair along with the delicious dim sums! 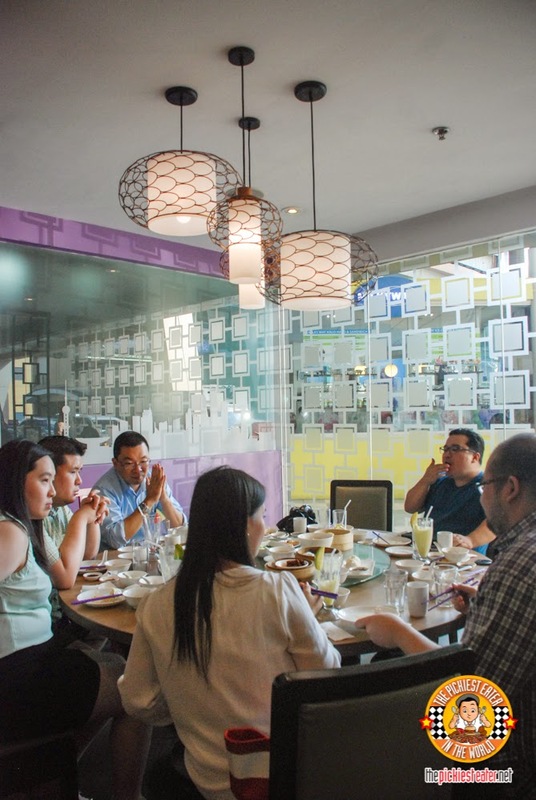 We all had so much fun chatting, sharing stories, over a feast of high quality dim sum. Look at Richie still getting a piece or two of that Pork Bun haha! 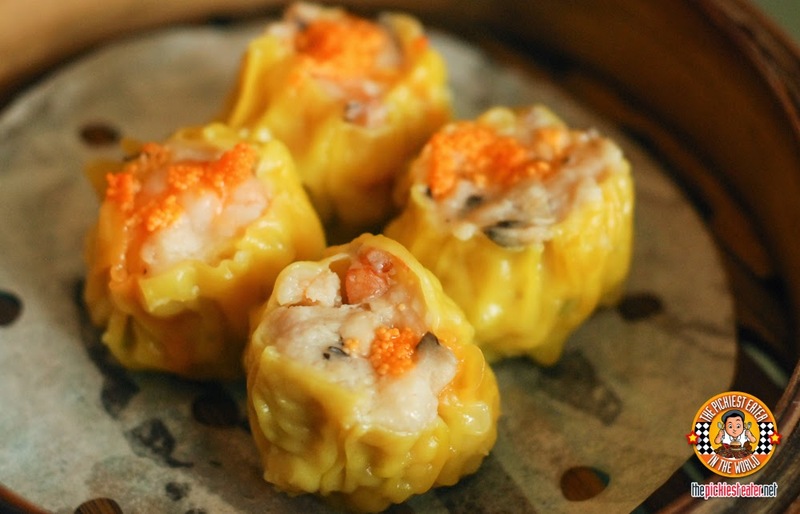 This Weekday Dim Sum Dinner is priced at only P488+ per person, and includes unlimited iced tea or hot tea. Available from Monday to Friday, from 6:00 PM to 9:30 PM. This promo is only until August 31, 2014. 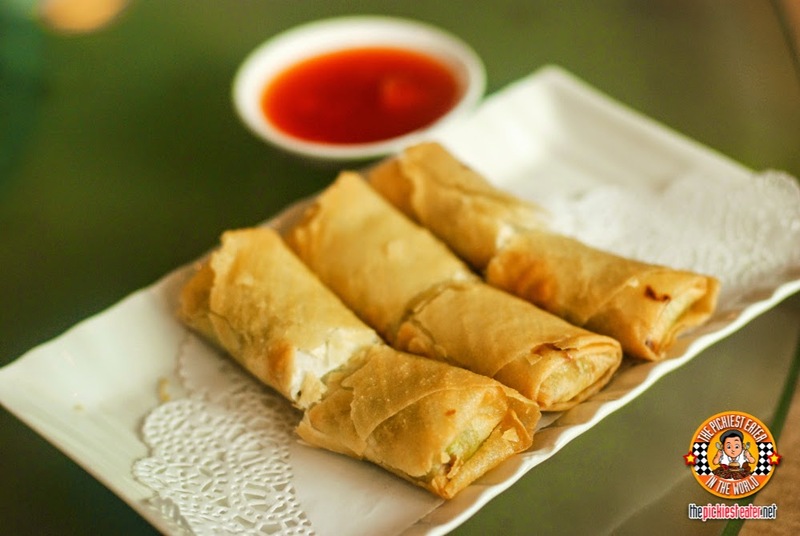 So take advantage of it tonight and have an excellent dim sum dinner at Crystal Jade Shanghai Delights!